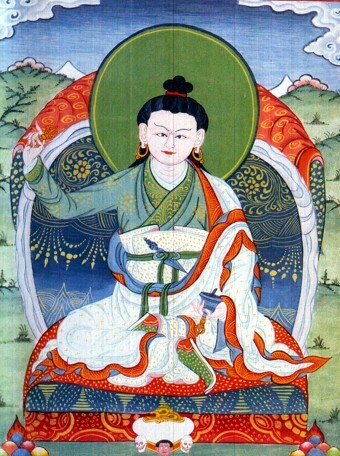 Tertön Mingyur Dorjé (1645-1667) — an emanation of Shüpu Palgyi Sengé, and the immediate reincarnation Trulshik Wangdrak Gyatso. Tertön Mingyur Dorjé is the revealer of the Namchö cycle of termas. His anniversary falls on the 16th day of the third Tibetan month. Karma Chakmé, The All Pervading Melodious Sound of Thunder: the Outer Liberation Story of Terton Migyur Dorje, translated by Lopon Sonam Tsewang and Judith Amtzis, with a foreword by Penor Rinpoche, Palri Parkhang, Nepal, 2008. The Tibetan text and its English translation have been made available online by the TBRC . This page was last edited on 4 August 2017, at 17:04.